Vermiculite is a lesser known product that was typically used as attic insulation in homes built between the 1940’s – 1980’s. It is a naturally occurring compound, with light-weight and fire-resistant characteristics. Although it can be considered a dangerous material to have in your home, not all of it is problematic. However, the majority of it was mined in Libby, Montana (under the brand name Zonolite) and found to contain asbestos — a very serious health hazard that also devalues a home’s overall worth. 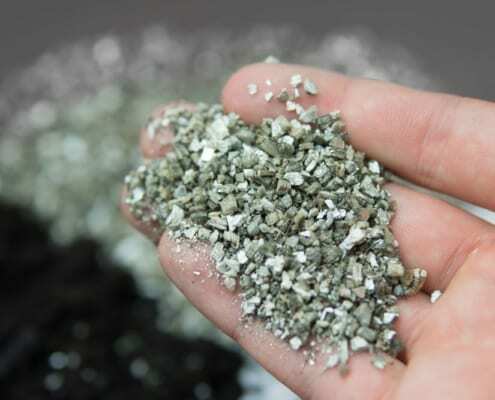 Vermiculite mined in other locations is generally considered safe, although the stigma around it can still impact opinions of a home’s value. If your home inspection reveals that it has vermiculite, we recommend you treat it as containing asbestos, until confirmed otherwise. You should take steps to have the seller remove it or ask for the dollar figure associated with it being removed, at the negotiation table. Here are some things you will want to know about this material. On its own, pure vermiculite generally isn’t a health hazard, but if it contains asbestos it can present serious health risks. When disturbed, it becomes airborne (also known as “friable”) and can easily be inhaled. Then the fine fibers attach to the lungs creating a few different problems – some more serious than others. As a result, someone can experience asbestosis if they are exposed to the material for extended periods. Another complication is mesothelioma, which is a type of aggressive cancer, and lung cancer itself has been shown in victims who have had significant exposure to vermiculite. Skin irritations are another effect that are often less severe but sometimes still dangerous if ongoing exposure persists. It’s important to note if vermiculite isn’t disturbed, its chances of causing severe health implications is very low. You will need to worry about it if you plan to use the space, such as storing items in your attic. The bigger problems are the unknowns. For example, if squirrels or birds might get into your attic, they can disturb the material and send it into your home completely undetected. We suggest hiring a licensed asbestos abatement professional to remove this or other asbestos-containing material (ACM) from your home in accordance with best practices, local, state and federal laws. While it can be costly, it’s also a tricky and messy job that might not be the kind of risk you want to take by doing it yourself. Plus, doing so may also be illegal. Professionals are thorough, and may even know of resources to help pay for part of the remediation. Can we help with a certified professional inspection? At Whitt Inspections, we help people every day learn more about the properties they hope to purchase. We can be reached by phone or online and urge you to contact us for more information.